The RearViz SL-15 is the Slim Line edition of the RearViz Mirror. Whether you're dodging busy traffic commuting to work or riding in a group, the RearViz mirror gives cyclists a virtual pair of eyes on the back of their heads. The Slim Line RearViz is lightweight and half the size of the Sports and Classic styles, making it suitable for riders with slimmer arms. 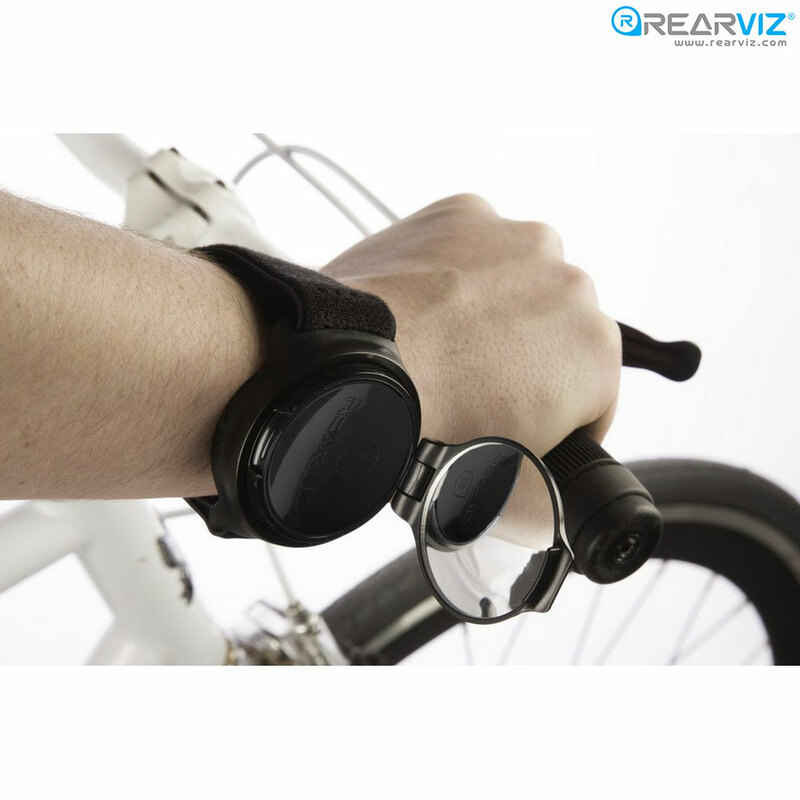 Although it can be worn by all cyclists, RearViz suggest this style for riders who prefer to mount the RearViz on their wrist or riders who simply prefer something a bit smaller. The Slim Line RearViz also comes with a Universal (one-size-fits-all) Armband, making it a perfect fit on any sized arm. - Perfect for smaller arms! good but curved mirror -cars appear v fast ! ProsAdaptable & not fixed to bike. Always ride with it. Used for 2 years on either wrist. wont ride without it, but the curved mirror makes cars look far away and then appear very close, so use with intelligence and look often at the mirror when you hear a vehicle behind you.